Despite the implementation of diagnostic and treatment algorithms for many common cardiovascular (CV) complaints, identifying low- and intermediate-risk cardiac patients presenting to the emergency department (ED) who could be managed without hospital admission remains difficult. We hypothesized that the presence of an attending cardiologist in the ED after normal working hours would decrease the proportion of these patients admitted to the hospital. 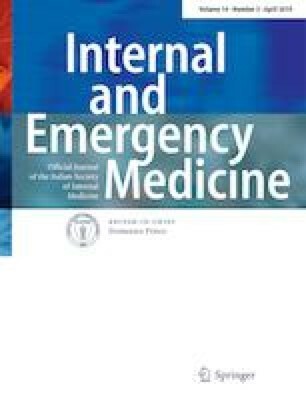 We conducted a retrospective study of patients seen in the ED with cardiac diagnoses identified by ICD-9 codes during the time period when the cardiologist was available (6 p.m.–midnight) compared with patients seen at other times of the day in the 12 months before and after the consultation program was implemented. The primary outcome was disposition at the time of discharge from the ED. Logistic regression was used to model the primary outcome. A difference-in-differences approach was used as the primary statistical test .Following the start of the consultation program, the odds of discharge home from the ED with or without observation increased (OR 1.69, 95% CI [1.45–1.96]). There was a significant interaction between pre-/post-intervention status and time of day in the odds of discharge home from the ED (P = 0.04) suggesting an association between the consultation program and disposition patterns that is independent of concurrent programs aimed to reduce utilization. An ED-based cardiology consultation program may reduce the need for inpatient stays by identifying low- to intermediate-risk patients safe for discharge from the ED with or without a period of active management/observation. The online version of this article ( https://doi.org/10.1007/s11739-019-02076-6) contains supplementary material, which is available to authorized users. This work was conducted with support from Harvard Catalyst| The Harvard Clinical and Translational Science Center (National Center for Research Resources and the National Center for Advancing Translational Sciences, National Institutes of Health Award UL1 TR001102) and financial contributions from Harvard University and its affiliated academic healthcare centers. The content is solely the responsibility of the authors and does not necessarily represent the official views of Harvard Catalyst, Harvard University and its affiliated academic healthcare centers, or the National Institutes of Health. All procedures performed were in accordance and with the 1964 Helsinki declaration and its later amendments or comparable ethical standards and ethical approval was obtained from the Beth Israel Deaconess Medical Center Institutional Review Board. Informed consent for this retrospective study was waived by the Beth Israel Deaconess Medical Center Institutional review board given no more than minimal risk to the privacy of individuals given protection of health information identifiers.